Phoenix 21'x52 Above Ground Pool + Sand Filter Pump + Ladder + Liner + Skimmer. Part Number: ECRC00215T + 71405 + 87950 + LI214820 + 8940. Cornelius Pools Phoenix 21 x 4.3-Foot Steel Above Ground Pool. Do-it-yourself with the easy to assemble above ground pool. Precise fit and stylish design to enhance your backyard. Steel construction on all components for durability. Get outdoors and have some fun in the sun this summer with the Phoenix pool series. 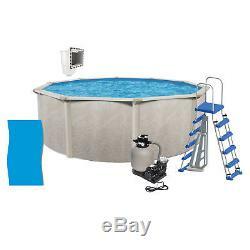 This package includes an above ground pool, sand filter pump combo, 48-inch A-frame ladder, pool liner, and skimmer. This pool is 21 feet round and 4.3 feet deep so it provides fun for all ages. The pool's all steel construction provides durability for years of hassle-free use and the sharp marble wall design adds an appealing feature to your yard. The steel pool frame is easy to assemble so you can be ready for fun in a matter of minutes. The Swimline 2400 GPH Sand Filter Combo is a 0.5 HP sand filter pump that ensures your above ground pool stays clear, fresh, and debris free. It pumps 2400 gallons per hour, is an O. Part, and features a high quality, transparent debris trap. 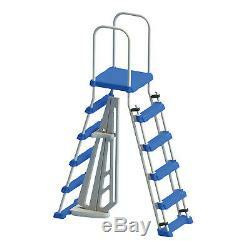 The Swimline Above Ground Pool Ladder is an A-frame ladder is perfect for pools with walls 48-52 inches tall. The side of the ladder with the safety barrier is meant to go inside your pool, preventing kids or rambunctious friends from swimming underneath the ladder where they could get trapped. The frame is corrosion resistant. The solid blue overlap liner is for 21-foot round above ground swimming pools. The pool liner fits most pools 48 and 52 inches wide. The liner is made from a high quality durable virgin vinyl. S tough and will last you for years. It requires coping strips (not included). 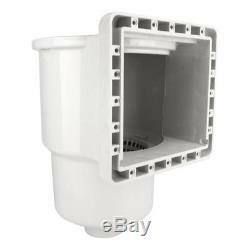 The Hydrotools skimmer is made with standard ABS and fits through the the wall. Water capacity (90 percent full): 7,000 gallons. 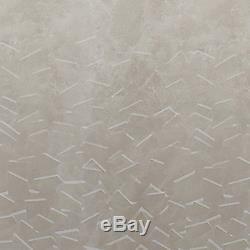 Wall color: Marble wall pattern. Frame color: Cognac plus clear krystal kote. Dimensions: 21 x 21 x 4.3 feet. 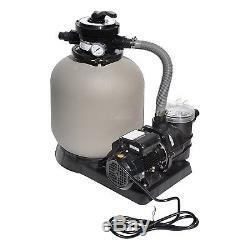 Swimline 2400 GPH 14-Inch 0.5 HP Pool Sand Filter Combo. Top of the line 0.5 HP. High quality, see through debris trap. Swimline Above Ground 48-Inch Pool Ladder. Safely enter and exit your above ground swimming pool. 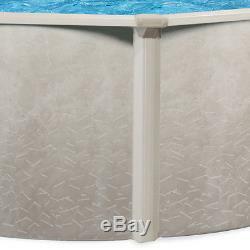 Fits pools 48-52 inches tall. Safety barrier prevents kids from swimming underneath ladder. 4 steps on each side with platform for entry. Swimline 21-Foot Solid Blue Round Above Ground Swimming Pool Overlap Liner. 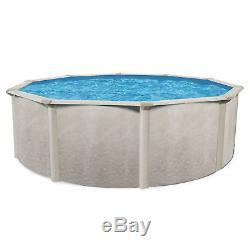 Fits most 48 and 52-inch wide pools. Made From durable, high quality virgin vinyl. Protected against chemicals and UV fading. Hydrotools Standard ABS Thru-Wall Pool Skimmer. Replacement standard ABS thru wall above ground pool skimmer. Complete with return fitting and vacuum plate. Great for deck pools as well. Outside dimensions: 7.5 x 8 x 11.5 inches. Cornelius started in 1967, building steel wall and vinyl liner for in-ground pools. Cornelius entered the above-ground market in 1971, as the demand for more affordable backyard vinyl liner pools increased. We are known for using innovative materials, functional product design, efficient packaging, and eye catching patterns in both liners and walls. During this growth we have expanded our manufacturing equipment and facility to meet this demand. In 2008 our manufacturing plant moved at north of Montreal in Quebec, we have since extend our experience in a larger competence field. New ownership looks to the future by investing in tooling, machinery and design. We are committed to continuously improve our products and better support our customers. Cancelling Your Order: Your order is important to us and will be processed immediately. Select the reason for the return. This listing is currently undergoing maintenance, we apologise for any inconvenience caused. The item "Phoenix 21'x52 Above Ground Pool + Sand Filter Pump + Ladder + Liner + Skimmer" is in sale since Thursday, September 13, 2018.